Grapefruits, especially pink/red, have high amounts of lycopene, antioxidants, as well as many vitamins and minerals. A study done that was published in the Journal of Agricultural and Food Chemistry even shows that grapefruits can be used to control cholestrol. So today’s recipe is for a delicious grapefruit mint juice. This juice is refreshing, light and tart. It’s a perfect juice to start your day off or a great juice to enjoy mid-morning as a pick-me-up. I’ve been drinking it as a mid-morning snack before I exercise during my lunch break. Note: There has been research done that has shown that certain medications may react negatively to grapefruit. This article explains more. It might be a good idea to check to see if you’re taking any of these medications and how it may affect you. If you need more information, you should talk to your doctor. Start by thoroughly washing and drying both your grapefruits and your mint leaves. I used ruby red grapefruits for this recipe but you can use any kind of grapefruit. Then cut the rind off of your grapefruits, but try to leave on as much of the outer white part of the grapefruit as you can. Cut your grapefruit into smaller pieces that your juicer will be able to process. I then put my mint leaves in my juicer and followed it with the grapefruit. This seemed to be a good way to get all of the mint to be processed and pushed through the juicer. Also, just a side note, this juice smells amazing when you make it from that mint being juiced! 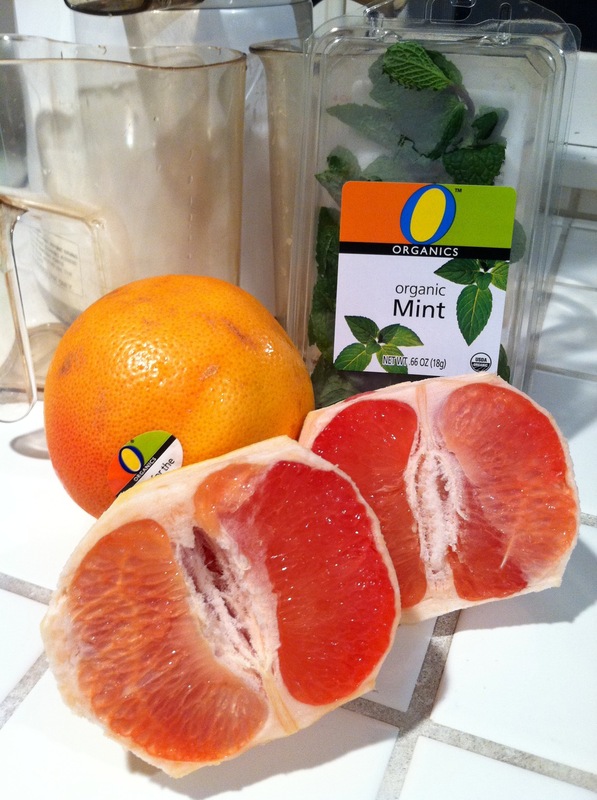 Once you’ve juiced your mint leaves and your two grapefruits, you will be all set to enjoy your grapefruit mint juice! Enjoy immediately or store in an airtight container in the fridge for up to three days! 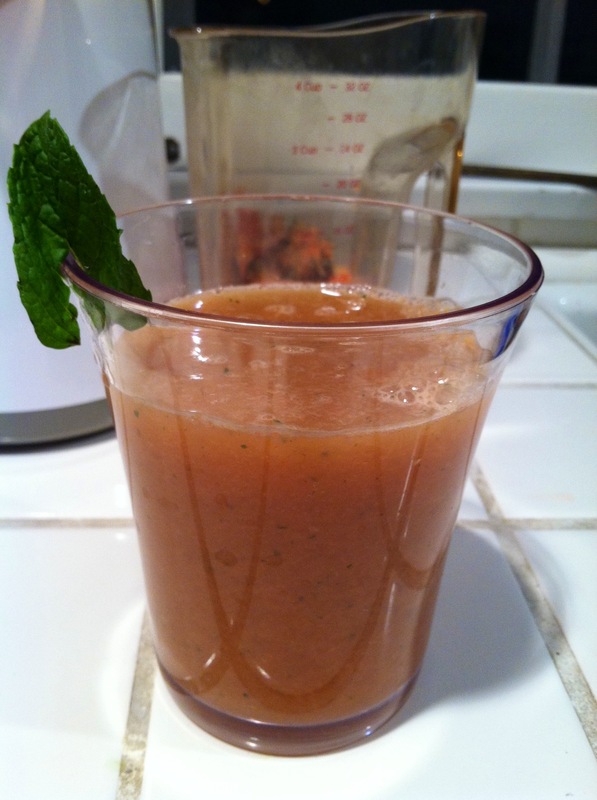 One serving of this grapefruit mint juice will provide you with 147 calories and 37 grams of your total carbohydrates. It also gives you over 600 milligrams of potassium and 2 grams of protein. In terms of vitamins, this grapefruit mint juice contains 6% of your daily vitamin E, 10% of your daily vitamin B-6, 25% of your daily vitamin A, and over 300% of your daily vitamin C.
This juice will also provide you with a variety of minerals. Some of those include 7% of your daily calcium, 10% of your daily copper, 11% of your daily folate and 13% of your daily thiamin.